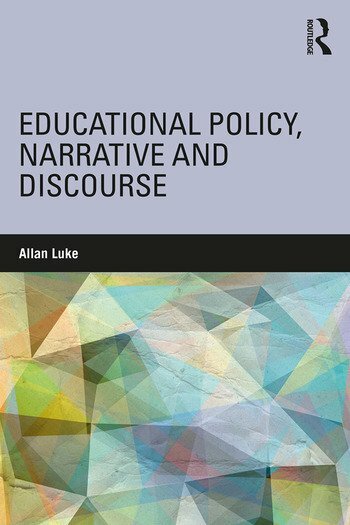 This collection of Allan Luke’s key writings on educational policy, curriculum, and school reform follows the development and use of critical discourse analyses to study educational policy and practice. Turning to a series of narrative analyses of the relationship between politics, culture, economics, and education, Luke‘s writings address the challenges of shifting from an academic and scientific critique of policy to ‘getting your hands dirty’ in the making of state educational policy. The volume includes international examples of policy formation for social justice and equity, and closes with an auto-ethnographic view on policymaking and the need for increased critical, sociological evidence-based educational reform. Together with its companion volume, Critical Literacy, Schooling and Social Justice: The Selected Works of Allan Luke, this collection gathers Luke’s seminal key writings spanning the fields of education, applied linguistics, sociology, and cultural studies for the benefit of scholars, students, teachers, and teacher educators around the world. Allan Luke is Emeritus Professor of Education, Queensland University of Technology, Brisbane, Australia, Affiliated Professor, University of British Columbia, Canada, and an Honorary Professor at Beijing Normal University, China.